Summary (from Goodreads): A young lady who is pure will shine with a radiant brightness in this world of darkness. How can a young lady stay physically and emotionally pure as she waits for God’s best in marriage? This guide to radiant purity combines the thoughts and events in the life of a young princess with solid, clear teaching of Biblical convictions that young ladies today need to grasp. 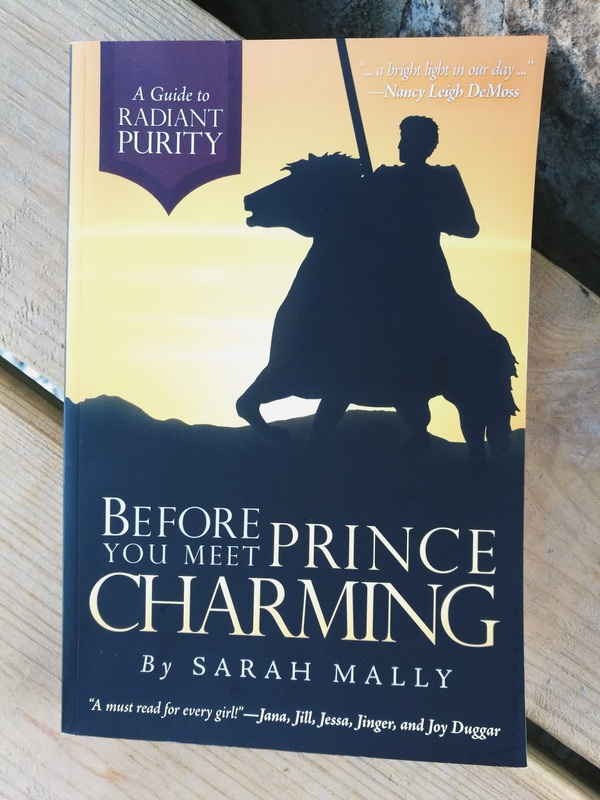 Through a captivating fairy tale, modern day examples, practical instruction and abundant humor, Sarah Mally challenges young ladies to turn to the Lord for fulfillment, to guard their hearts and minds, to identify and avoid the world’s thinking and to shine brightly in this generation. This book offers Biblical answers to everyday questions and deep life struggles. It deals with many practical topics such as being wise in internet usage, dealing with a crush, and building strong relationships with parents. My Thoughts: Every girl, no matter the age needs to read this. Immediately. I soaked up every word because never before have I read a book where it discusses topics such as “waiting on the right one” or “having a life bigger than marriage” and “delighting in the Lord” while being single. Each piece of the fairytale story that is told throughout this devotional spoke to me and revealed things that didn’t make sense before. Not only did this book open my eyes to the realization of waiting for God’s plan to take place, it convicted me about the struggles I have been facing alone. Struggles that most every girl faces at some point. Yet, because of the great love Christ has shown on the cross, we do not have to be alone. We can use this time of singleness for His glory and purpose! Appropriate Disclosure: Every young lady should read this book. Some things mentioned would be a better read for girls that are becoming ladies. Topics concerning marriage are very brief and not detailed at all. However, it does mention the importance of purity. These are excellent topics to discuss and read alongside parents.